Do you represent a Minnesota State Government Agency and wondering how you should archive all your web and social media content? Are you trying to determine what you need to do both from a legal and a technical point of view? Here’s a guide to the different Laws and processes you should follow. What Laws Govern Records Management in the State of Minnesota? In the State of Minnesota, the Open Records laws and provisions can be found in Chapter 13 of Minnesota Statutes, in what is know as Minnesota Government Data Practices Act (MGDPA) Minn. Statutes 13.01 et seq. and Open Meetings Law Minn. Statutes Chapter 13D. These chapters govern website and social media records. Do Minnesota Records Laws include Website and Social Media content? The Act makes it clear that the format of the data is not critical to its accessibility, including data in electronic format such as website and social media content; “Photographic, photostatic, microphotographic, and microfilmed records shall be considered as accessible for convenient use regardless of the size of such records.” § 13.03.1. The public officer of a relevant agency is responsible for reproducing relevant records by any reproduction method that clearly and accurately reproduces the records. Each public officer may order that their accurate reproduction be substituted for the originals of them. In addition, if an agency maintains public data “in a computer storage medium,” a requester may specify a copy of the data in that medium, if the government entity “can reasonably make the copy or have a copy made.” § 13.03, subd. 3(e). Web sites must be retained in their original format: HTML, CSS, PDF etc Government records may be produced in the form of computerized records. All government records shall be made on a physical medium of a quality to ensure permanent records. How can we transfer website archives made with PageFreezer to the Minnesota Digital Archives? PageFreezer exports all data on request in the original file format including the required metadata. This data set can be transferred by FTP or by other means to the Minnesota State or Agency Digital Archives. 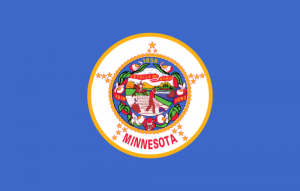 The state of Minnesota has gone further in its laws to establish “The Minnesota Recordkeeping Metadata Standard”. The standard is meant to serve as a uniform standard for all levels of government agencies to meet with their records. The standard closely mirrors the well-known Dublin Core standard while going into more practical detail on its applications. Read more on the Minnesota Recordkeeping Metadata Standard here.